Biosimilars and biobetters represent a new and exciting market for therapeutic manufacturers. Recent reports indicate that the market for biosimilar monoclonal antibodies (MAb) will reach more than US$20 billion in 2020, with the majority of revenues coming from established markets for MAbs—namely, the USA, France, Germany, Italy, Spain, the UK and Japan. Additional revenues from new and emerging markets are also expected as much of the manufacturing of biosimilar drugs is currently occurring in South Korea, China, India, the Middle East and Latin America, where large populations with unmet healthcare needs exist. 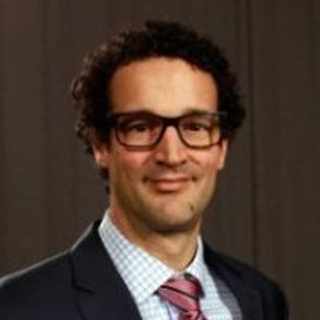 In addition to pure market forces, there is a strong interest from central governments to encourage local companies to develop biosimilar capabilities, including MAb production, and a pressing need to bring the therapeutic benefits of MAb therapies to greater patient populations, while simultaneously reducing costs. An extensive pharmaceutical market. Investigation by the European Commission indicates that avoiding delays to the introduction of generics of any kind, including biosimilars, could have led to approximately 20 per cent additional savings in healthcare costs compared with the €14 billion saved over the study period. In the past 12-18 months, many established biopharma players have announced initiatives or alliances for their own biosimilar counter-strategy. The entry of originator companies into the biosimilar space will likely result in a significant biosimilar market, but it will also temper the level of price reductions which can be expected. The traditional hypothesis regarding biosimilars is that they will be less expensive than originator drugs due to lower research and development costs, reduced financial risk from failed clinical trials, and production facilities based in markets with lower infrastructure and labor costs. However, in order for biosimilar manufacturers to fully realise the potential of this market, they will also have to meet some of the fundamental challenges that originator companies also face: How does one maximise facility utilisation? How can one minimise the investment needed when scaling up a manufacturing process? What modern tools can reduce COGs, even for legacy therapies? When planning for new production facilities, it is important to consider that most modern plants will be required to produce multiple products in order to reach their maximum payback potential. Although early antibody-based drugs benefited by targeting indications with relatively large patient populations and limited competition, new biotherapeutics and biosimilar antibodies will enter a very different market, with populations that are smaller (due to increased competition) and possibly less global (due to yet-unresolved regulatory restrictions). This shift in annual demand per product means that future facilities will have to operate at smaller production scales per batch, which typically introduces new costs related to lost economy-of-scale. 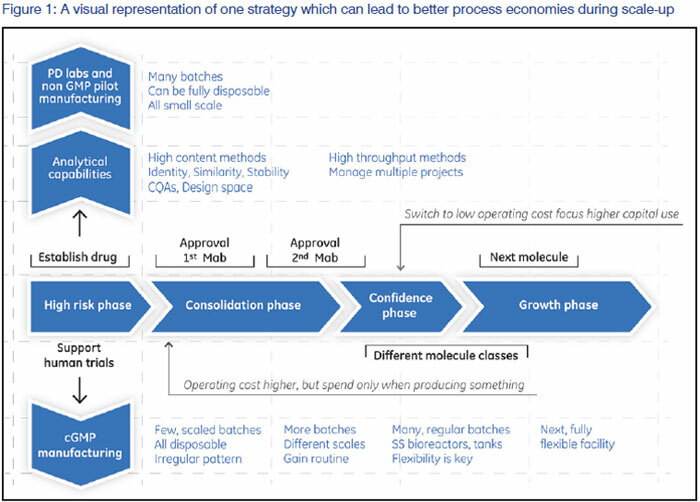 Thus, new production facilities for biosimilars can only provide maximum economic benefit if they are designed with multiple products in mind—otherwise under-utilised capacity may paradoxically result in higher rather than lower COGs for biosimilars. Multi-product facilities based on traditional manufacturing technology can and have been designed and built in various parts of the world. However, changeover time for such facilities is significant, frequently between 10-14 working days when switching from one antibody to the next. This time is required to ensure proper cleaning and replacement of equipment, as well as to receive analytical results which confirm that proper cleaning and sanitisation has been achieved. In dedicated facilities, changeover time is limited to time spent on routine annual maintenance, but in multi-product facilities, the effect can be dramatic. Consider, for example, a facility designed to produce 31 batches of product per year: if such a facility is used to produce two antibodies rather than one, the facility output is reduced by nearly 30 per cent to 24 batches per year. Similarly, pushing the facility to accommodate four antibodies will reduce the output to only 10 batches per year. Over time, highly skilled manufacturers have improved their change-over routines and achieved significantly shorter times. However, in traditional facility layouts, these gains come only with substantial investments after years of experience. Smart facility design, proper production planning and implementation of technology which minimises changeover time are all tactics which can be employed to optimise the design of multiproduct facilities. For example, designing plants with dedicated seed train suites allows for changeover to begin in parallel with antibody production. Planning production so that annual demand is satisfied in a single campaign minimises the number of changes required per annum; and implementation of single-use and disposable technologies which eliminate cleaning validation and/or can be dedicated to specific campaigns can reduce changeover time by as much as 50 per cent. Since early entrants in the biosimilar antibody market will focus on originator therapies developed 10+ years ago, there exists much opportunity to introduce modern tools into their production which can reduce the cost of manufacturing. Consider, for example, four improvements in process technology which have occurred in the past decade. While originator molecules were likely developed using traditional process development tools, today rapid development of optimal process conditions can be achieved by working with modern High-Throughput Process Development (HTPD) approaches, such as PreDictor™ miniaturised formats for screening of chromatography resins. Method development using PreDictor formats combined with Design-Of-Experiments (DoE) allows for optimisation of MAb capture and polishing steps in a less time and with fewer experiments. In a recent case study, 192 conditions were screened in approximately 4 hours and analysed in 48 hours. MabSelect™ was introduced in 2000 as the first protein A chromatography resin based on high flow agarose. Before that time, the dynamic binding capacity (DBC) of modern protein A resins was approximately 20 g/L, or even lower. Today, MabSelect SuRe™ LX reaches binding capacities of 60 g/L, while also providing caustic resistance to simplify cleaning-in-place operations and enhancing the lifetime of the resin. The additional capacity of this modern resin offers good facility fit in classic large-scale plants with production outputs as high as 70 kg per batch. One year after the introduction of MabSelect, Vijay Singh was granted a patent for the WAVE Bioreactor™. Prior to Dr. Singh’s invention, seed trains were composed primarily of glass and small-scale steel bioreactors which required cleaning, assembly and sterilisation between every batch. The introduction of the WAVE Bioreactor technology to seed train operations has reduced this downtime from approximately 20 hours to 30 minutes, for an efficiency increase of 4000 per cent. Finally, in traditional facilities it is common to dedicate huge tanks or single-use bags for specific buffers. These storage vessels occupy enormous space in classified production areas and thereby introduce fixed costs which are difficult to utilize fully. Today, inline buffer conditioning systems, which work by combining stock solutions to produce numerous buffers on-demand, can dramatically reduce the size and number of buffer storage tanks or bags required to support antibody production. In one case study performed in 2010, introduction of an inline conditioning solution resulted in the replacement of two 25,000 L storage tanks with two 5,000 L concentrate vessels, resulting in a capital savings of more than 300,000 USD and a floor space savings of over 200 square feet. Biosimilar antibody producers stand to benefit from more than a decade of process enhancements and facility knowledge gain. However, new challenges will be present regarding the scale of demand and the requirements on facility design. Fortunately, these challenges are addressable by implementing modern processing tools and strategies. Flexible facility design, single-use technology and introduction of high throughput purification products are a few of the strategies available to developers which can maximise the potential of the biosimilar antibody market, while still delivering overall cost reductions and improving access to these breakthrough therapeutics. 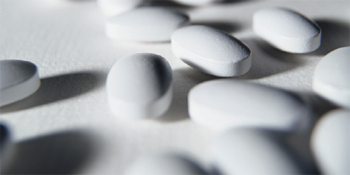 One final note of caution for new biosimilar producers. If they are to achieve the expected savings in cost-of-manufacturing, they will need to apply LEAN approaches rigorously to all of their manufacturing operations. This will be a major challenge, since originator companies have considerably more experience in maximising process economy and have applied manufacturing excellence programs for years. Nonetheless, regardless of a company’s experience level, the application of modern processing tools to biosimilar antibody manufacturing should be part of the overall go-to-market strategy. In order to produce clinical product for trials, and eventually commercial product upon approval, process scale-up is typically performed at risk, meaning prior to regulatory approval of an antibody therapy. As financial pressures on the industry increase, the appetite for risk is reduced, and therefore it is important to minimise financial exposure prior to securing a revenue source. Capital investment represents the largest share of financial risk when scaling up prior to approval. Thus, it follows that strategies which reduce or delay capital investment in turn reduce financial risk. Implementation of single-use and disposable technologies is one of the most effective ways to minimise the need for early capital investment. Figure 1 provides a visual representation of one strategy which can lead to better process economies during scale-up. In the early phases of a company's life cycle, manufacturing is performed using as much single-use technology as possible. This may increase per batch costs, but ultimately results in better company performance as costs are only incurred when product (and therefore value) is produced. Depreciation costs for under-utilised fixed equipment are minimised, and the smaller capital investment which is required can be leveraged over multiple projects since fluid contact paths can be dedicated or replaced for each campaign. As a company's production capacity matures (i.e. after revenue sources are secured), more focus can be placed on strategic capital investments which can be leveraged over multiple projects. This is a frequently overlooked point among the numerous discussions regarding single-use implementation-fully disposable manufacturing frequently does not lead to optimal process economy. Rather, blended implementation of single-use and traditional manufacturing technology may be preferable to maximise results. Identifying the correct blend of these process technologies will be case-specific and requires detailed analysis. Jonathan Royce oversees external marketing for the BioProcess division as well as five applications development teams focused on vaccines, antibodies, recombinant proteins, single-use and process development solutions. Jonathan has a Masters' degree in chemical engineering from Northeastern University and he resides with his wife and two children in Uppsala, Sweden.